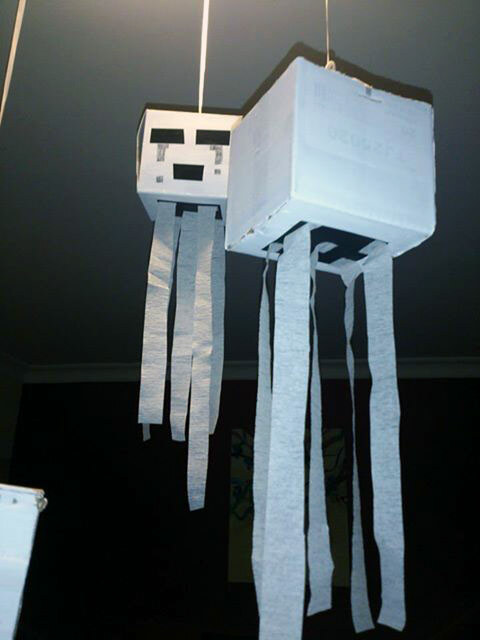 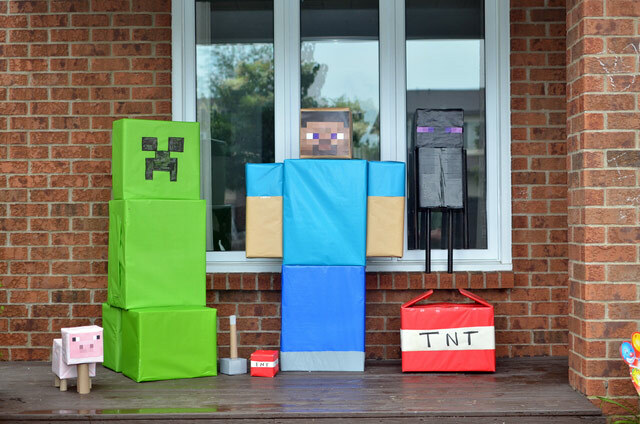 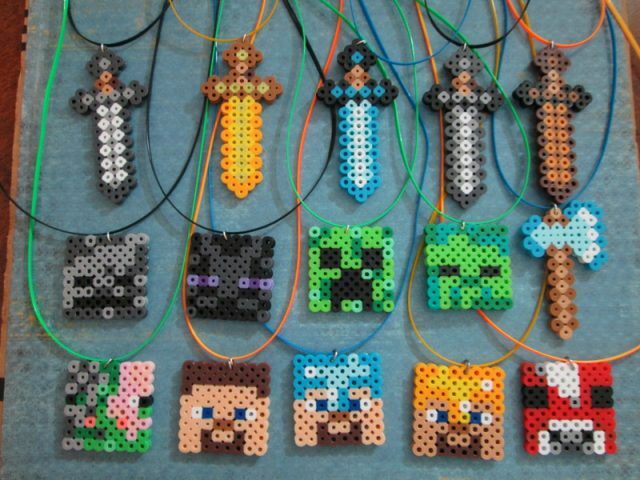 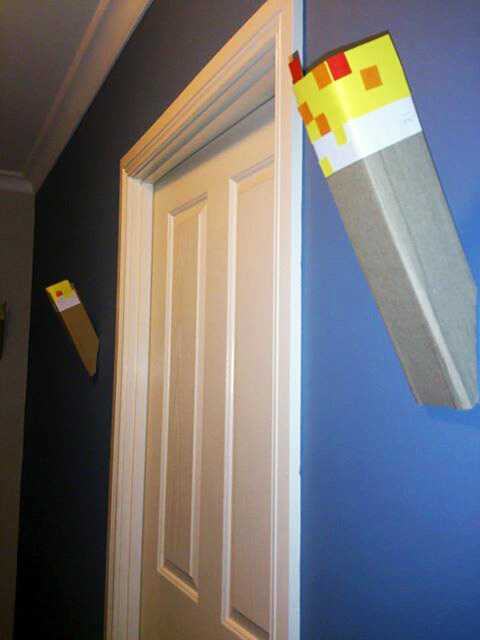 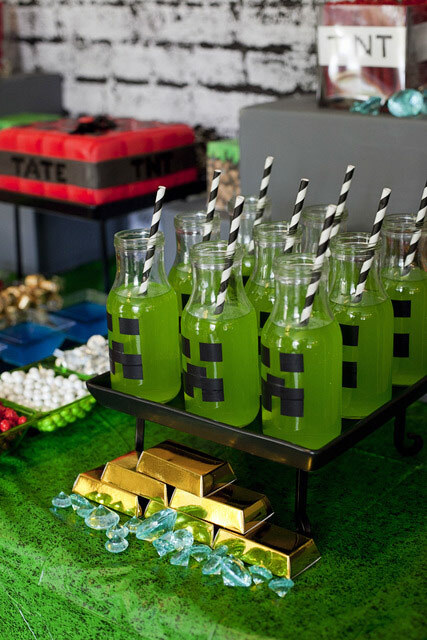 Minecraft parties are more popular than ever before and the creativity of people is awesome! 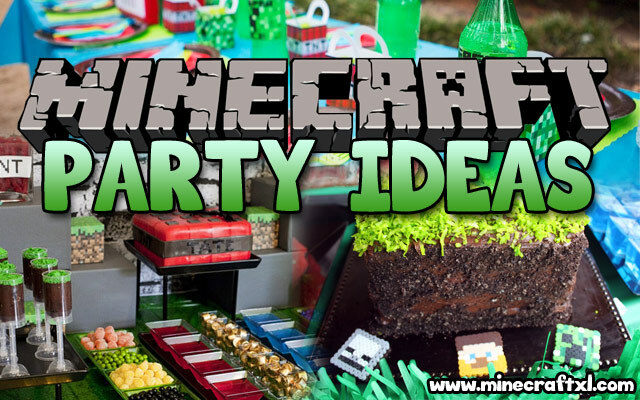 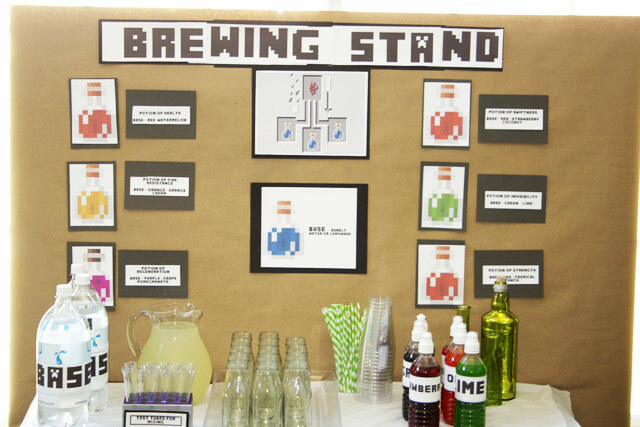 Below we have found some of the best ideas for your inspiration and for the ultimate Minecraft party. 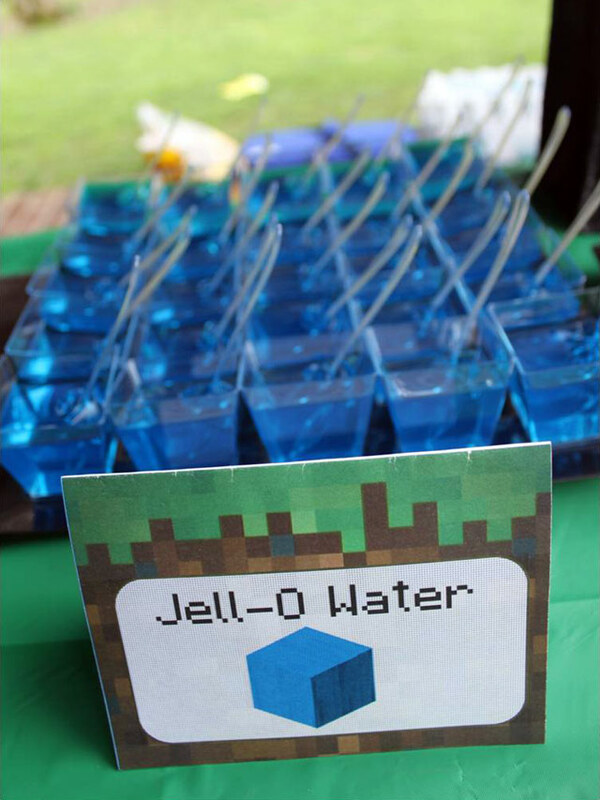 The only limit now is your imagination! 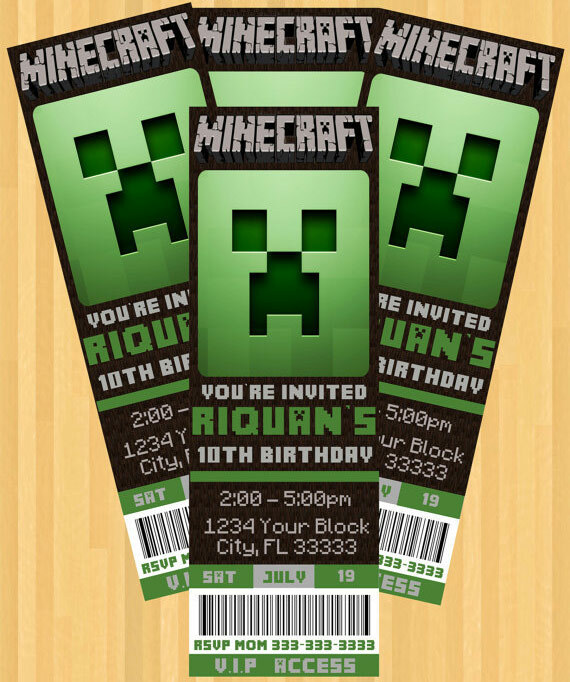 First lets start out with the invitations, it’s important that you from the beginning makes it clear that this is indeed a Minecraft party. 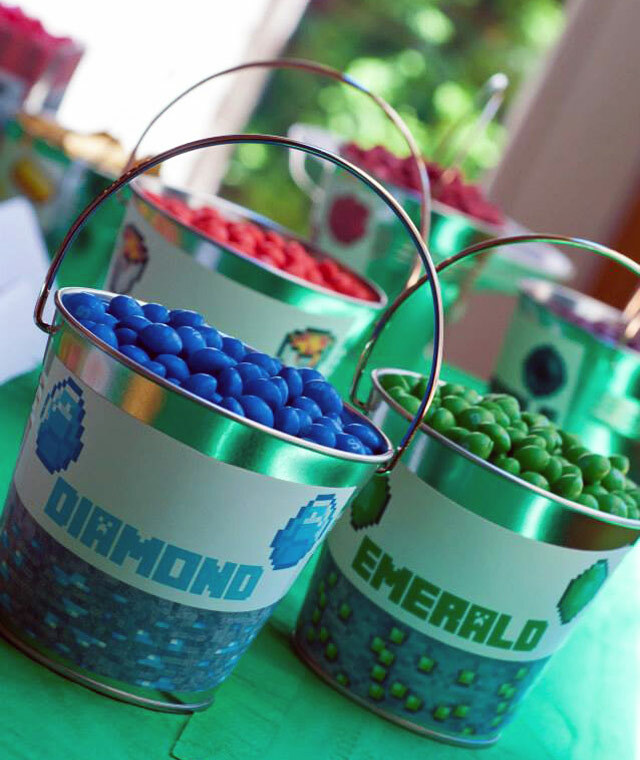 You can do that with awesome invitations, we found some inspiration for you here. 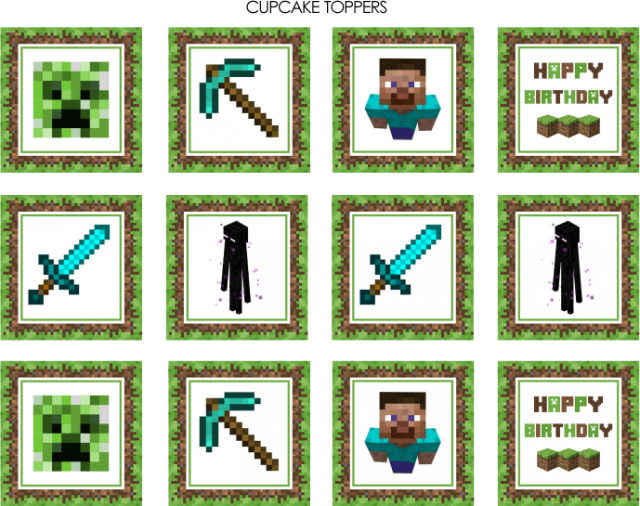 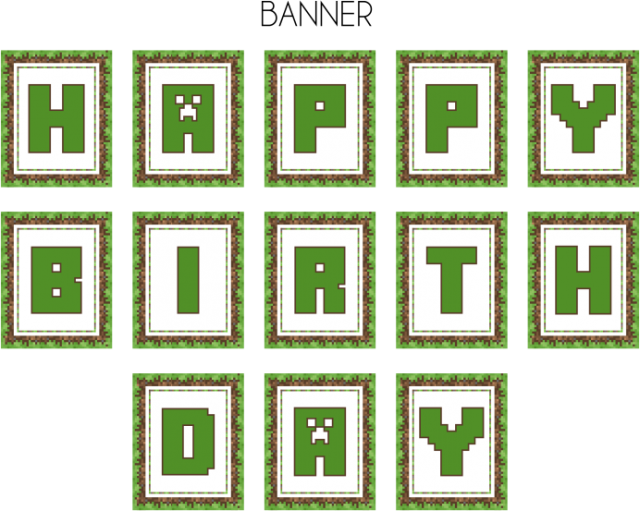 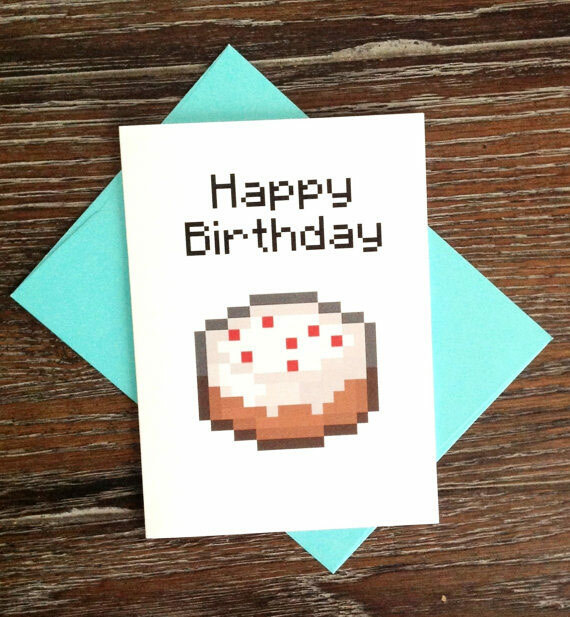 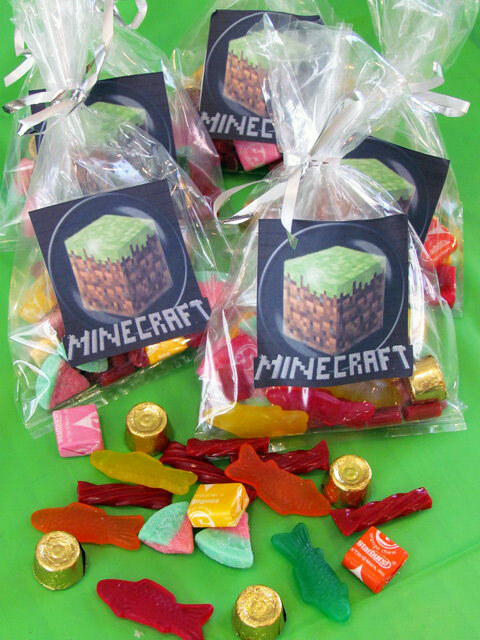 While we are at the cards, if you are ever attending a Minecraft party, then why not give a gift card like this? 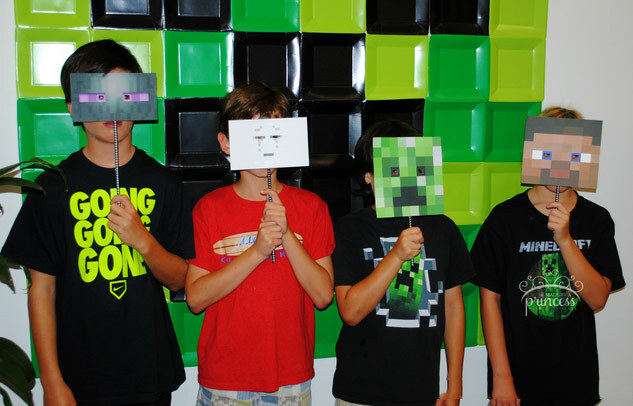 If you’re like most other people, then you are not an expert in Photoshop. 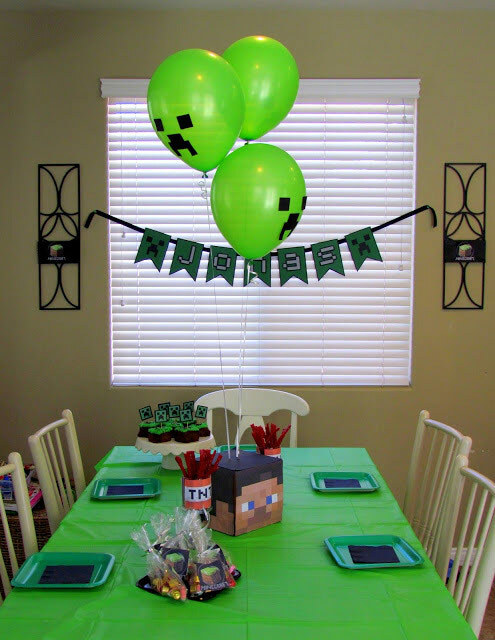 What you will need for your party is printables. 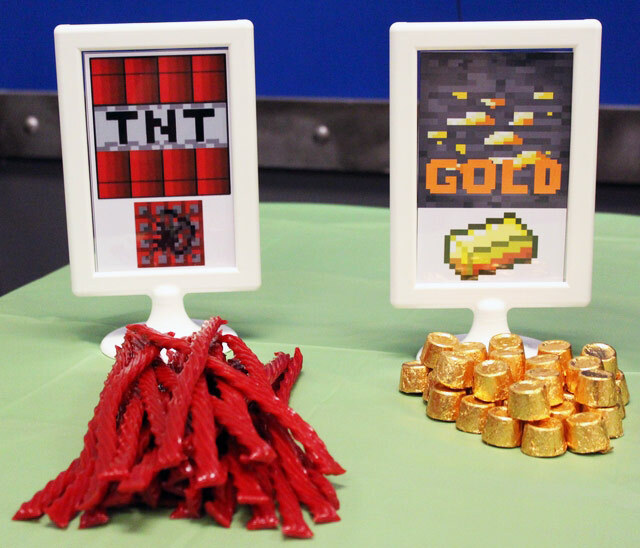 This way you just have to print and cut out all the signs for your cake, candy, banners etc. 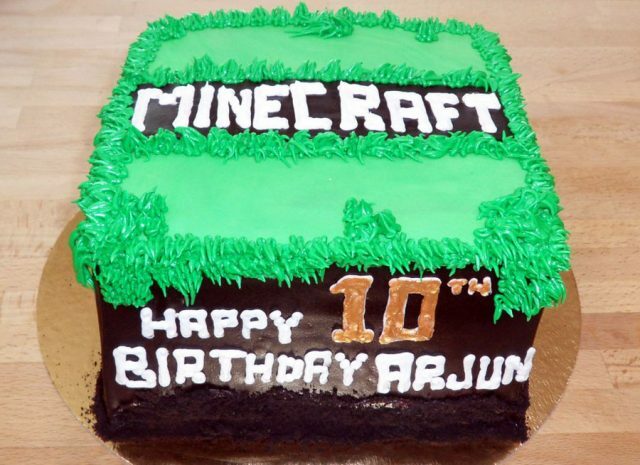 The cake is always important at a party. 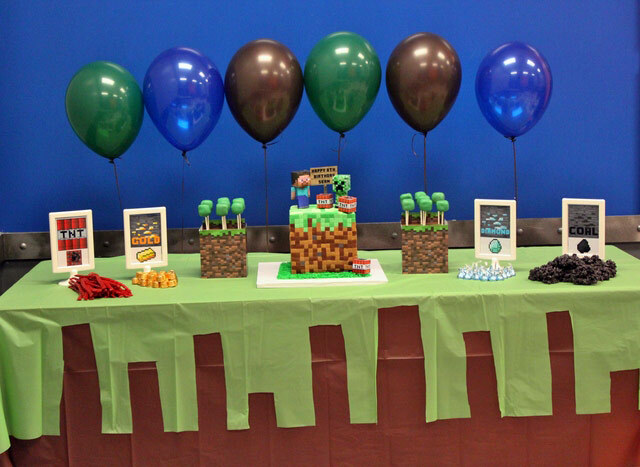 Whether it’s a soccer themed or Minecraft themed party you need a cake that fits the theme. 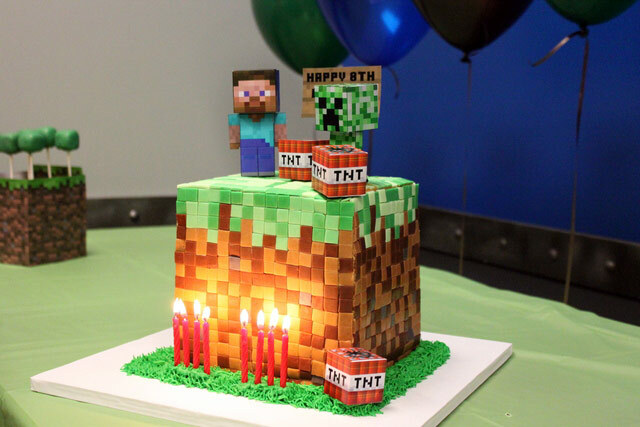 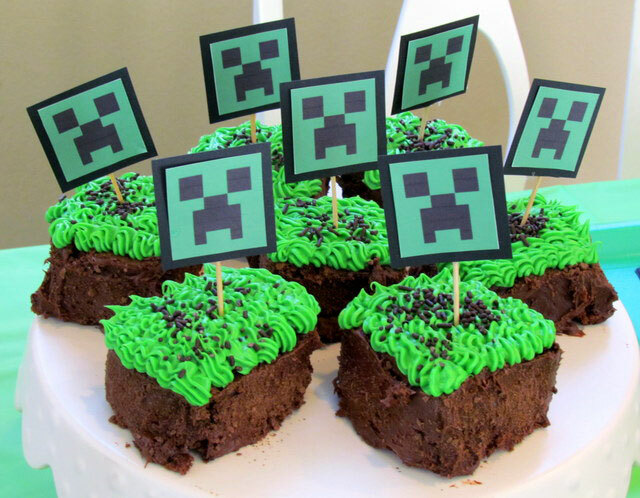 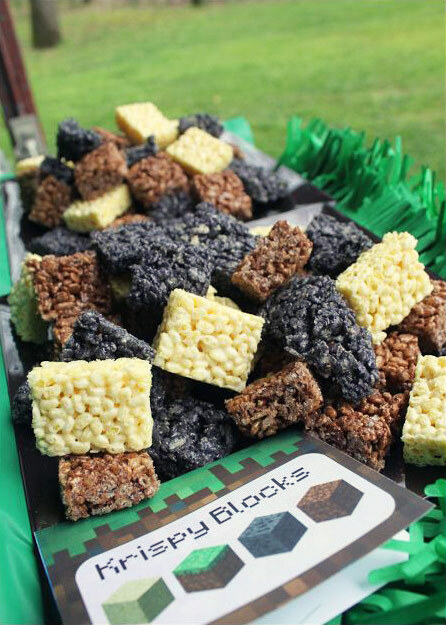 There are tons of Minecraft cakes out there, we found some inspiration for you here ! 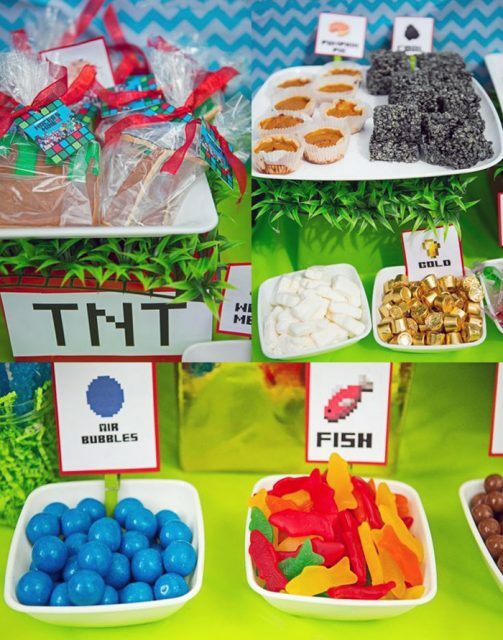 Talking about cake, we also need candy and food ! 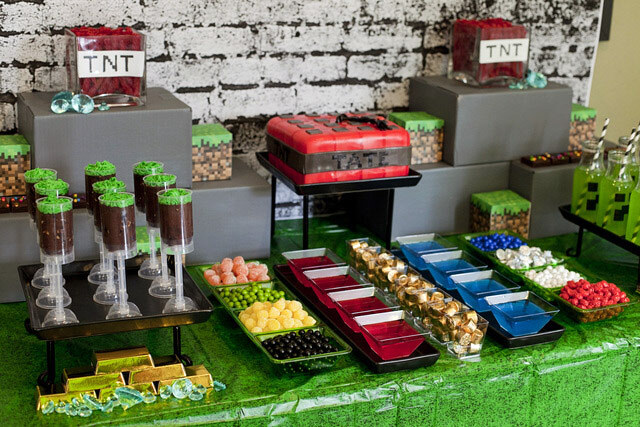 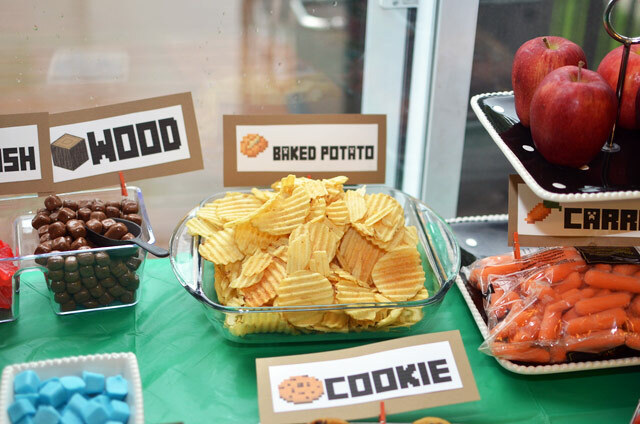 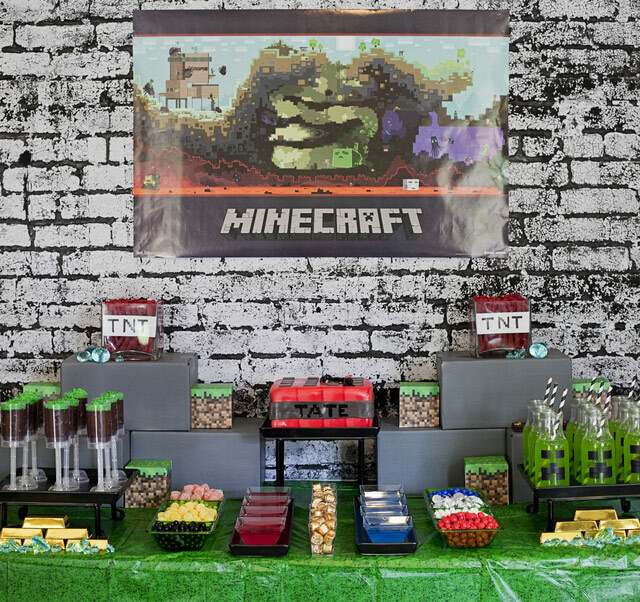 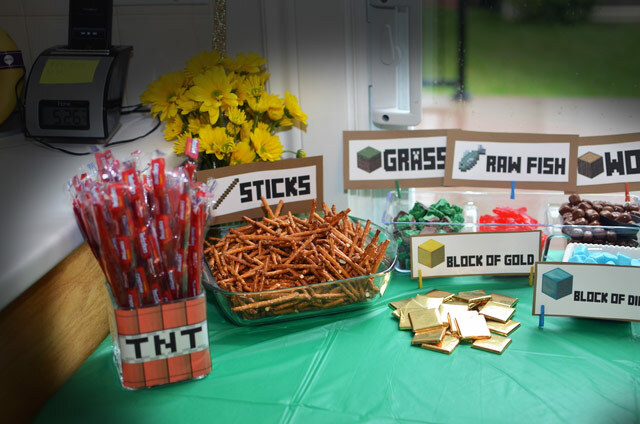 For your ultimate Minecraft party you will need lots of Minecraft candy. 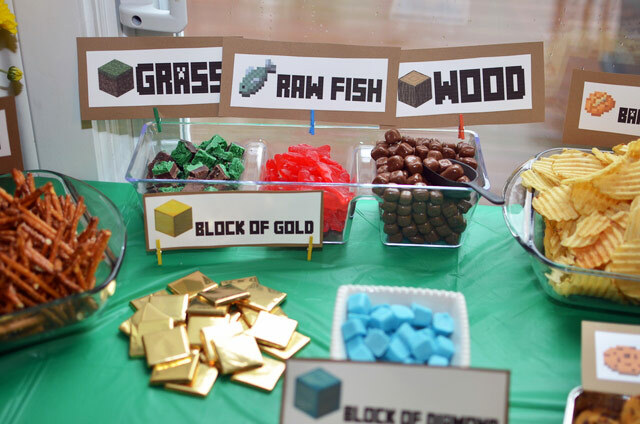 Again, there are tons of opportunities here and your only limit is your imagination. 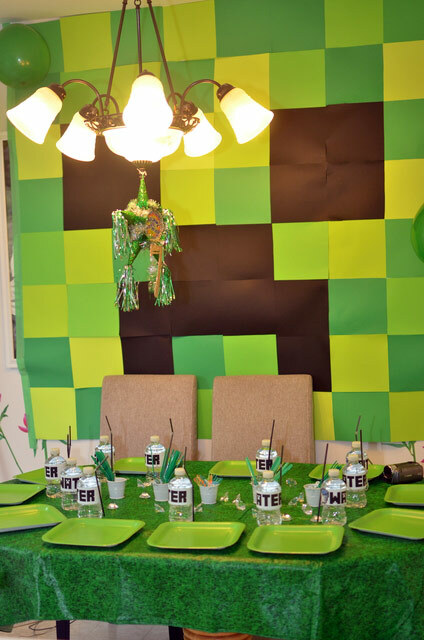 The decoration is also very important and again there is many options for this. 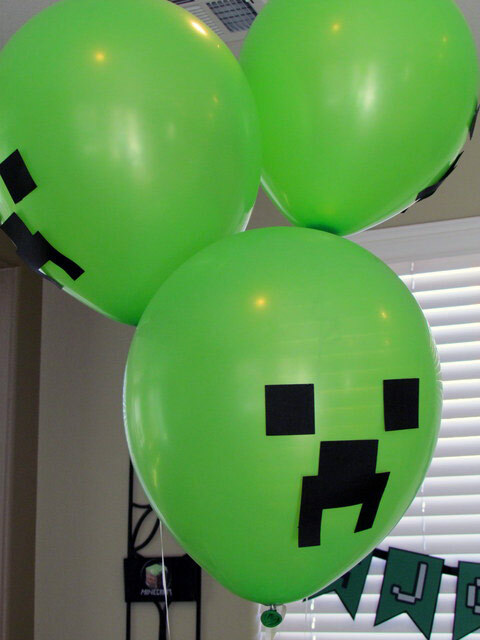 We think that creeper balloons is a must have and they are very easy to make – you just need some green balloons and some black tape. 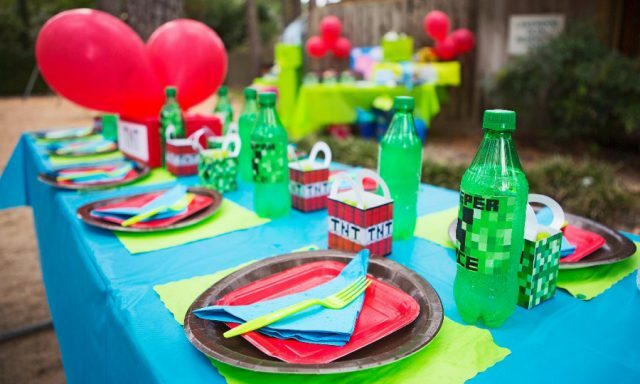 The classic treasure hunt is always good, but for your ultimate party you need more activities. 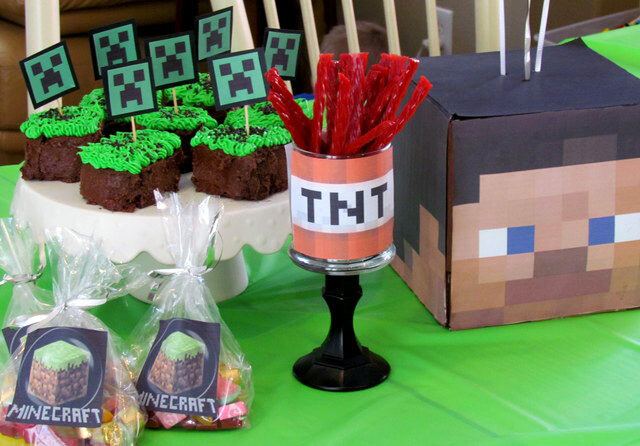 For example you can make your own Minecraft masks, make a Ghast pinata or Mine for treasures where the kids has to find candy in flour.